Did you know that bananas offer a long list of benefits that can improve your health and wellbeing? These fruits are not only delicious, but they are also very nutritious. They can be consumed raw and fresh or used as ingredients to make a wide variety of banana recipes, and they are frequently recommended to people who want to start eating a healthy and balanced diet. Potassium is an essential macromineral that contributes to the proper regulation of fluids in the body, the efficient control of the electrical activities of the heart, the appropriate growth and development of cells, tissues, and muscles, and many other important bodily functions. 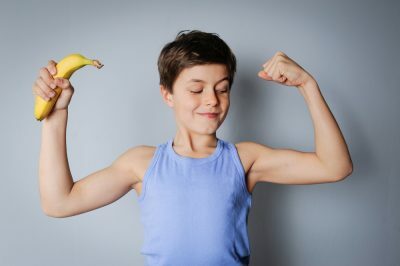 According to health experts, adults should consume around 4,700 milligrams of potassium per day to help with their muscle strength, bone strength, cardiovascular health, and blood pressure. Failure to meet the recommended daily requirement can lead to constipation, weakness, and fatigue, and, over time, escalate to digestive complications, paralysis, and respiratory failure. 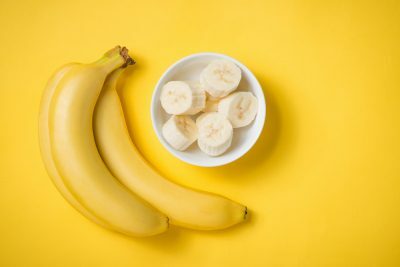 Because an average-size banana that weighs 125 grams contains around 450 milligrams of potassium, you can eat seven or eight bananas on a daily basis to meet your potassium allowance for the day. Bananas are rich in fiber. Fiber is necessary for the prevention of constipation and other stomach problems. It can help in weight loss, and keep you away from cancer, heart disease, and diabetes, as well. With a high-fiber diet, you can enjoy better bowel movements, lower cholesterol and blood sugar levels, lose weight faster, and live longer. According to the Institute of Medicine, men and women who are 50 years old or younger have to consume on a daily basis 38 grams and 25 grams of fiber, respectively. And, men and women who are 51 years old or older should consume 30 grams and 21 grams of fiber everyday, respectively. For good health, you should feed your body fiber as soon as a new day begins. For breakfast, you can prepare a high-fiber meal that includes whole grains and, of course, bananas. 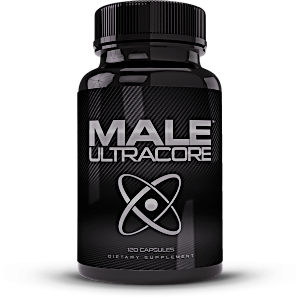 Throughout the day, you will feel more energized and avoid bloating, cramps, and other problems. Bananas can help improve digestion. 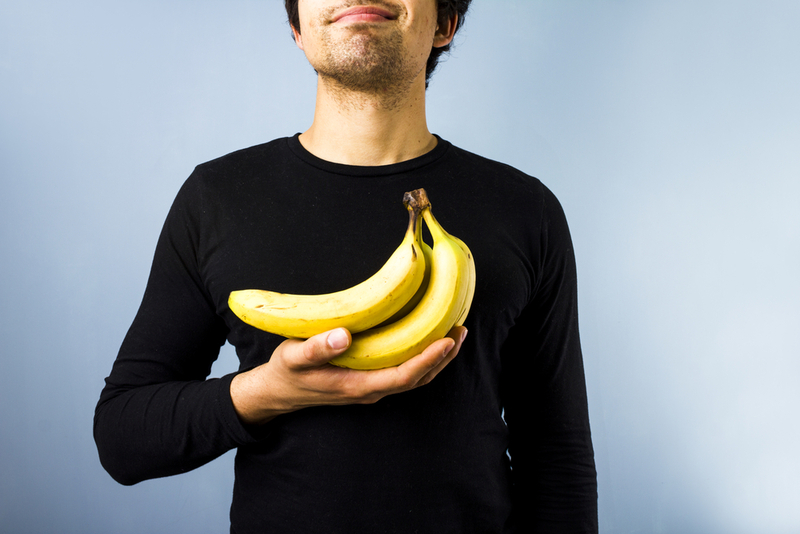 Because of bananas’ high potassium and fiber content, they can help facilitate the digestion process. With sufficient potassium and fiber in your body, you can break down the foods that you eat more easily, and absorb essential nutrients more efficiently. Furthermore, your rate of absorption of fats and carbohydrates is slowed down, so a sudden rise of your blood sugar levels is avoided. If you consume one or two servings of bananas a day, you can boost your digestive functions, and lower your risk of disorders and illnesses. You can also build up your metabolism, have a better mood and improved brain performance, and have higher energy levels to last you the entire day. Bananas are good for the heart. In addition to aiding in digestion, the fiber in bananas is also instrumental in keeping the heart happy and healthy. Various research studies have concluded that fiber, whether in bananas or in other fiber-rich fruits and vegetables, has the ability to reduce the bad cholesterol in the body by annihilating them before they get absorbed. There was one study that monitored 223 participants’ blood pressure and pulse pressure in a span of 12 weeks. They were given high-fiber meals and snacks during that period. After the experiment, their personal data were gathered, showing that their blood pressure and pulse pressure levels had significant decreases. The researchers attributed these differences to the subjects’ increased fiber intake. So, to fight off heart attack, stroke, hypertension, and other cardiovascular problems, make sure to include bananas to your daily diet. You can enjoy a piece after every meal or whip up a simple but healthy recipe. Bananas can help protect against anemia. Anemia is a medical condition in which the human body experiences a decline in the amount of red blood cells or hemoglobin. If you have it, you may experience a number of symptoms, such as weakness, exhaustion, shortness of breath, loss of consciousness, or increased thirst. If not treated right away, it can lead to severe complications, such as tachycardia or having an abnormally fast heartbeat, heart failure, and lung disorders. One of things that cause anemia is iron deficiency. In 2013 alone, approximately 183,000 deaths were reported due to anemia caused by iron deficiency. And, around the world, there are almost a billion people that battle this illness day in and day out, making it the most widespread blood disorder today. It occurs more often in women, most particularly pregnant women, than in men. For every 100 grams of bananas that you eat, you can get 0.3 milligrams of iron. So, to meet the daily recommended iron requirement in adults of 17 to 20 milligrams of iron per day, you should have a banana at least once a day and eat other iron-rich foods like beans, tofu, and cashews. Bananas are loaded with many other essential nutrients.